Projects & Solutions • CUP 2000 S.c.p.A. On November 13th, 2015, the Ministerial Decree n. 178 “Regulation on Electronic Health Records” was published on the Italian Official Journal, setting the legal and normative fulfillments required for their implementation. Formally considered as a service available to all Italian citizens, the Electronic Health Record of Emilia- Romagna (Fascicolo Sanitario Elettronico – FSE), realized by CUP 2000, represents one of the regional healthcare excellences, which will also be of reference for the interregional junction allowing interoperability at the national level. The FSE stems from the SOLE network which, from 2002, connects 3.800 general practitioners and pediatricians to specialist doctors operating in every structure of the regional health service; thus allowing, through the strictest safeguard of privacy, the sharing of clinical documentation about the health services provided within public structures and private licensed clinics. Visits, exams and reports are updated in real time and are always visible on computers and smartphones, through a personal Internet website, private and protected, where it is also possible to access online services to pay fees, book visits, receive reports (substituting the paper copy), receive medical prescriptions, change the general practitioner. Thanks to the FSE, the user can interact with the Health System, and can file data as well as healthcare notes produced by him/herself. Thanks to a mandate procedure, persons who are not at ease with IT systems or who do not use the Internet can also benefit from the service. It is also possible to activate the FSE for minor children. CUP 2000 is committed to the study and the realization of the eHealth network evolutions that allow an always more immediate access to citizens. In particular, within the 2016-2018 two-year period, an in-depth revision of the product usability will be completed, with special attention to the redesign of the interface. From a functional perspective, diagnostic images will be integrated, as well as the process for the request and dematerialization of the hospital clinical charts; under realization are a pharmaceutical record, an integrated platform for the management of therapeutic plans and the integration with AIFA. In addition, the adjustments required by the adoption of SPID will be realized and released. search for information regarding waiting times for healthcare services. SOLE (Sanità On LinE – Online Healthcare) is the network for the dematerialization of the information regarding the individual clinical history of every citizen from the Emilia-Romagna Region. Projected and realized in 2002 by CUP 2000 on behalf of the Emilia-Romagna Region, SOLE allows to generate the Electronic Health Record and the online sharing of healthcare information between general practitioners and pediatricians, specialist doctors from hospitals and clinics. It represents one of the most important Italian experiences in the field of eHealth networks structured by a public service. The integrated network of general practitioners, hospitals and other health districts units on the territory is capable of supporting professionals by placing the doctor-patient relationship first, the most important strategic objective being the involvement of citizens in the Electronic Health Record service. Through SOLE, the fragmentation of the offered services is overcome, while assistance is organized into processes, favoring the knowledge of assistance pathways and of the resources needed to provide the services. Furthermore, SOLE also allows an overall evaluation of clinical governance at the regional level. Today, the organizational evolution of healthcare systems necessarily requires a continuous porting of technological solutions towards next-generation organizational Healthcare Networks, more integrated at the regional, national and European level. CUP 2000 is committed, as planned by the Emilia-Romagna Region, in a process for the adoption of uniform applicative solutions at the regional level, an objective that can be reached thanks to a series of joint and transversal services, realized and managed within SOLE and constituting the integration infrastructure. Following the SOLE project and its evolutions, CUP 2000 is committed to the coordination and monitoring of the regional integration project for the connection of General Practitioners to the healthcare structures of Emilia-Romagna. The development of a new single software, with higher performances and lower management costs, will contribute to disseminate new functions managed by general practitioners, and to extend the integrations between territory, Health Houses, hospitals and specialists, supporting doctors as best as possible on the issues related to prescriptive appropriateness, and creating a joint regional network for doctors. The Information Management System for Penitentiary Healthcare (Sistema Informativo gestionale della Sanità Penitenziaria – S.I.S.P.) is a regional, web-based information system utilized by healthcare and administrative personnel for the management, filing and consultation of the clinical record of patients from penitentiary institutions. The services for the dematerialization of healthcare pathways, launched over time by the Emilia-Romagna Region thanks to the technological and processing competences of CUP 2000, lead towards the modernization of processes and of organizational functions addressing citizens. The electronic medical record accessible by general practitioners or specialists at their office, the Electronic Health Record, the hospital systems for medical reports, the CUP systems, the networks for the collection of payment amounts corresponding to services, the services APPs, all constitute the products of the eHealth network and meet the exigencies of a personalized healthcare. Doctors, citizens and governance appreciate the advantages of dematerialization in terms of speed, accessibility, transparency and – not least – reduction of overall costs for the system functioning. In compliance to what provided by article 2 of the Ministerial Decree of November 2nd, 2011, and its subsequent modifications and integrations, concerning the dematerialization of the paper medical prescription within Autonomous Regions and Provinces, in 2014 the Emilia-Romagna Region, together with CUP 2000 and availing itself of the technological infrastructure offered by the SOLE network, has launched the process which will allow general practitioners to prescribe a request for a specialist visit, or for the provision of pharmaceuticals, in an exclusively electronic form, without releasing the “red” (paper) prescription. In general, the digitalization of prescriptions guarantees the removal of prescriptive mistakes, favoring a better care pathway for the patient and, at the same time, allows the Region to control healthcare expenditures. The management of the full life cycle of the prescription permits to verify the appropriateness of the operation, guaranteeing a better efficiency. In order to foster the acceptance of the new pathway for prescriptions/provisions, and to make the impact on pharmacists more gradual, in the present phase doctors release to citizens a memorandum on a white paper, which must be shown, when booking a visit or collecting a pharmaceutical, in order to obtain the required service. The memorandum of the electronic prescription can be visualized from the FSE and can be printed in case of loss or missed delivery by the doctor; it can only be used once. Work is in progress, towards overcoming the memorandum in favor of a complete dematerialization. The “red” prescription remains mandatory – at least in the present phase – for some kind of pharmaceutical prescription: opioids and psychotropic drugs. The complete withdraw of the red prescription is expected by 2017. Meanwhile, the national infrastructure for the electronic prescription allows the citizen to attend pharmacies and health structures, also outside of the assisting Region, to receive pharmaceuticals or prescriptions, and to be charged according to the price list in force within his/her Region. On March 1st, 2016, the dematerialized pharmaceutical prescription, usable on the whole national territory, was also introduced. Presently, the dematerialization process allows, in Emilia-Romagna, to manage 80% of the prescriptions issued overall, in an exclusively electronic form. While nearly the totality of general practitioners utilizes the new system, hospital specialists are as well entering the process. Since 2001, the Company has invested on the Scan Center of Minerbio, where the Medical Records from our partner Local Health Authorities are digitalized. The project allows hospital doctors and citizens to online search and consult their digitalized record. Starting from the digitalized paper copy, through an intermediate passage and a “hybrid” record, the project has the goal to realize the digital native, that is, fully dematerialized record, abandoning the use of paper completely, and supporting all the interested actors and Bodies with competences, systems, technologies and platforms. The Emilia-Romagna Region has already started a project for an integrated clinical record, and, through the Regional Archive Center (ParER), makes available a secure and evolved system for the preservation of the electronic documentary patrimony. The objective is to create an innovative value, within the medical record, in terms of appropriateness and safety of cures, addressing citizens, operators and organizations. ParER, the Department of Cultural Heritage and CUP 2000 are about to launch a pathway for the certification process concerning substitutive preservation (made available by the Prime Ministerial Decree of November 13th, 2014), fully exploiting the technical, organizational and structural capabilities that today are already provided by the Scan Center of Minerbio. The complexity of a highly innovative computerization process, among the first in Italy and Europe, is mostly due to the normative and legal guarantees which must be provided and followed from the procedural, technical and organizational point of view. The accomplishment of such objective will allow to reduce financial expenses and permit a gradual but always more pervasive online utilization of structured and digital native data. A dematerialization process for the chain of bookings, payment, and online delivery and visualization of the copy of the medical record has also been launched, through an integration between the regional platforms FSE, CUP Web service and Online Payment, and the Minerbio Center systems. Many are the advantages. In a few clicks, the citizen will be able to comfortably book, pay and receive his/her own medical file, directly on his/her own electronic health record; companies will manage to cut down costs for storage and movement, with more safety and timeliness in the consultation of data. Presently, the service for the digitalization of medical records is performed for the Local Health Authorities of Bologna and Ferrara, for the Hospitals of Bologna, Ferrara, Modena and Reggio Emilia, and for the Rizzoli Orthopaedic Institute. The service for the digitalization of staff files is performed for the Local Health Authorities of Ferrara, for the University Hospital of Bologna and the Rizzoli Orthopaedic Institute. In addition, CUP 2000 manages the delivery to citizens of simple and certified copies of medical records, upon request. The Joint Regional Laboratory represents an innovative solution providing a new transversal module, for the constant updating of essential data coming from different IT systems, and in order to abandon the circulation of paper. The medical report is thus made available to the network of doctors in charge of patients, and to the citizens, through the electronic health record; in parallel, in compliance to legal dispositions, it is stored in a single center (the Regional Department of Cultural Heritage of Emilia-Romagna). Thanks to such infrastructure, it will also be possible to set operative continuity and disaster recovery plans for the regional analyses laboratories. CUP 2000 has a consolidated know-how in the realization of CUP systems – in particular, Metropolitan CUPs and CUPWeb services – which favor the citizen’s access at different levels of the healthcare systems. The achieved technological evolution allows to ensure a next-generation Internet network for regional access, interoperable with the other eHealth networks, which includes, among its functions, the booking and online payment of health services provided both under the institutional regime, and by private professionals. Within the field of access to specialist outpatient services, the company offers front end and back end ICT and management services. The applicative infrastructure – CUP2.0 represents a point of strength among the CUP 2000 offer. In total, over 8.6 millions outpatient specialist operations involving bookings, cancellations, change of appointment, payment collection and reception were performed in 2015 with the CUP2.0 platform for the Local Health Authorities of Bologna, Imola and Ferrara (Center Wide Area). In addition to providing services for the planning, software development, applicative maintenance and support to the deployment of ICT solutions, CUP 2000 also offers front office services by the company personnel: from the district joint desk, to hospital admissions and a call center for the booking of institutional or private health services. Mobile access to the healthcare services of the Emilia-Romagna Region is guaranteed by user friendly, high quality interfaces. Their projecting and realization is based on the utilization of evolved technological platforms, both developed within the CUP 2000 laboratories for software production, and commissioned to third providers. The “ER-Salute” app, for the booking, cancellation and payment of healthcare services and the FSE app, for the consultation of documents within the Electronic Health Record, are available for the Android, iOS and Windows platforms. CUP 2000 supports the Regional Health Service Agencies through the provision of agile and intuitive business intelligence, developing last generation products such as the new waiting times monitoring system for outpatient specialist services, which, in addition to supporting the planning and directional monitoring, is also open to public consultation on the website www.tdaer.it. For the triennium 2016-2018 further evolutions are expected in the areas pertaining to waiting times of hospitalization services. Also following the implementation of a mandatory fine against last-minute cancellations and missed visits, CUP 2000 is completing the realization of a monitoring system for the Health Authorities of the Central Wide Area (Local Health Authorities of Bologna, Imola and Ferrara; University Hospitals of Bologna and Ferrara; Rizzoli Orthopaedic Institute), with the objective to offer a real-time monitoring on each provided, cancelled or paid outpatient specialist service. Through the integration of the Collection Joint Network and CUP 2.0 systems, and other Authority departments, it is possible to obtain a continuous control over: the value of services that were actually provided; the value of fees collected under the National Health Service, with the generation of positions subject to debt collection procedures; visits missed by booked patients; provisions missed for causes depending on the offer system (with the transmission of data required for the automatic compiling of tax return forms). CUP 2000 manages the call-contact center providing the citizen with information, clarifications and technical support for online healthcare services on the regional territory. search of information concerning waiting times for healthcare services. The regional Toll Free Number – 800 033 033 – provides, through a network of 18 second-level workstations – information on the healthcare services of the Emilia-Romagna Region. The future of social Networks for health, assistance and safety is called eCare. Activated and realized in Bologna in 2005 by CUP 2000, the eCare service became a vehicle of a profound reorganization, also financial, of the regional and city Welfare. The eCare network helps the person communicate his/her own assistance and healthcare needs, and helps the professional provide always more personalized and effective assistance and healthcare services. Dedicated to over 65 citizens, the network favors the senior’s permanence at his/her home, preventing the occurrence of conditions of non-self sufficiency, and improving the quality of life. Thanks to the integration of different activities – above all, the Electronic Health Record – the network offers assistance and care pathways, harmonizing access, domiciliary activities, automatic medical reporting and the management of the electronic clinical report. The eCare network, making use of a front office/back office service center, works with the aim to reduce social isolation, to render the fruition of socio-health services more adequate, and to limit inappropriate hospitalizations. The eCare Project in Bologna and Ferrara gave birth to a new era of citizen-oriented and service-oriented Internet, for a new Network Welfare. The eCare network in Bologna, activated in 2005 on behalf of the City, the Province and the Local Health Authority of Bologna, has implemented an integration with socio-health and third sector services on the territory, within the “Project for the support of frail citizens and the prevention of non-self sufficiency”. The network, including institutions, professionals, associations and citizens, conjugates the use of technology and the needs expressed by citizens, in complete synergy for an always more personalized process of assistance and care: a “take-in-charge” which improves the repartition between the domicile and the healthcare structures, thanks to eServices integrated with the eCare. The services offered on the territory of Bologna offer to frail seniors a telephonic support, customized according to the individual assistance plan. Highly specialized operators can monitor the health conditions, proceed with the activation of social or health interventions (health bookings and contacts with general practitioners and social services), launch services for transportation or socialization initiatives, both sporadic and continuative. Bologna solidale is the website which lists and gathers the volunteering organizations and the most interesting events for seniors. The eCare service addresses seniors in conditions of solitude, residing within the 50 municipalities on the territory of the Local Health Authority of Bologna. To access, it is necessary for the senior to be signaled by the general practitioner, social assistant, domiciliary operator or by a volunteering association. The operator interested in signaling a senior can request the service directly at the toll-free number 800 562110. The service – an integral part of the action launched with the Regional Found for Non-Self Sufficiency – is promoted by the City of Ferrara, the municipalities of the South-East District and the Local Health Authority of Ferrara, and is realized by CUP 2000, in collaboration with the University Hospital Sant’Anna, the University of Ferrara, and the ASPs (Azienda di Servizi alla Persona – Local Authority for Welfare Services) “Welfare Services Center”, “Manica-Eppi-Salvatori” and “ASP del Delta”. The CUP 2000 operators perform a tele-assistance service providing weekly telephonic contacts to guarantee company, information, collaboration services with the volunteering sector, the filing of a personal socio-health dossier, the monitoring of health conditions, investigations on the conditions and needs of the population of reference. The Call Contact Center is the eCare system hub, managing the databank for users and requested services. Subscription to the project is available via self-candidacy (toll-free number 800 072110) or after being signaled by the social assistant or general practitioner. The project Giuseppina, promoted by the City of Ferrara in collaboration with the territorial stakeholders, records the requests through the eCare call contact center and activates services such as transportation for socio-health needs and socialization activities, delivery of pharmaceuticals, information about the territorial services. The project Comites, promoted by the City of Argenta in collaboration with the ASP Manica-Eppi-Salvatori and the volunteering associations operating on the territory, activates an accompany service at the hospital structures of the South-East District and at the Hospital of Cona, to guarantee that people in difficulties can attend therapies, visits and other healthcare and socio-health services. From June to September, on the territory of Bologna and Ferrara, in collaboration with local institutions, a toll-free number is operating to fight the heat emergency. The service addresses persons in situations of special difficulty or particular risk. The prevention and assistance plan allows to require and obtain information, as well as help, regarding issues related to heat emergencies. The service vision is to be in constant telephonic contact with persons who, due their age or particular social conditions, often find themselves in difficulties and need to be helped. Highly trained CUP 2000 operators, in addition to providing information, monitoring and advices on prevention, in case of necessity can also activate specific services of domiciliary assistance, volunteering, telephonic nursing support and delivery of pharmaceuticals. The assistance service managed by CUP 2000 is part of the yearlong company project supporting frail seniors: the eCare network. 5.000 seniors presenting an extremely high level of frailty, determined by health, social or economic issues, have been addressed through the service by the City of Bologna, in collaboration with the Local Health Authority. The project “Prevention of Heat Waves” is realized with the collaboration of the Local Health Authority of Bologna, the Regional Environment Agency ARPAE, the municipal Civic Defense, district Social Services, the AGES Service (Aldebaran Social Emergency Management), and is coordinated operatively by CUP 2000. The involved volunteering associations are: A.U.S.E.R. (Association for the self-management of services and solidarity), the Italian Red Cross province committee of Bologna, Anteas G. Fanin (Nation Association for Active Third Age for solidarity), ANCeSCAO (National Association of Social Centers and Gardening Areas) and other volunteering associations operating within each city District. Also collaborating are the private pharmacies members of the association “Federfarma Bologna” and the public pharmacies members of AFM. The service “Uffa che afa” (“Phew! So muggy”) is active in the city of Ferrara and manages the heat waves emergencies in the municipalities of the South-East District. The project is promoted by the City of Ferrara, in collaboration with the Local Health Authority, the University Hospital S. Anna, the associations Auser, Anteas, Ferrara Assistenza, Ada, Ancescao, ARCI, ACLI and the Italian Red Cross. The service, managed by CUP 2000, is realized in strict collaboration with the Local Health Authorities, the municipalities, the centers for welfare services (ASPs), the center “ASP del Delta”, the Prefecture, the Central Police Station, the Carabineers Provincial Headquarters, firefighters, civil defense, volunteering and third sector associations. In addition, an operative group, working in strict collaboration with hospital units, general practitioners and the network of social services, can activate interventions of social/welfaristic and socio-health nature, especially aiming to identify and prevent situations at risk, mostly deriving from seniors living alone, within weak familiar and neighborhood networks, under conditions which sometimes cause circumstances of extreme isolation. Health houses represent an important node in the regional territorial assistance: a center for reception and guidance to services, available to all citizens, but also a context where to provide healthcare assistance and to guarantee the management of chronic pathologies, as well as the completion of the main diagnostic pathways which do not require to resort to hospitalizations. The Health House is structured as an integrated system taking care of the assisted persons directly from their access. The realization of this objective involves the development of organizational and of integrated clinical networks. CUP 2000 operates within ICT projects by the Emilia-Romagna Region and the Local Health Authorities, in order to guarantee adequacy, completeness, integration and adherence to the standards needed in order to reach the Health House realization goals. Coherently with the indications by the European Union and with National guidelines, CUP 2000 contributes to fostering the integration of instruments and telemedicine services into the regional SOLE and FSE networks. CUP 2000 operates towards the realization of processes with a strong synergy and integration among healthcare professionals, ICT services and services of clinical engineering, with the aim to debate the topic of telemedicine in its overall technological and organizational complexity, overcoming the past experimentations which – precisely concerning organization – were not able to propose an innovative answer within the provisional system. The main actions see the support of the Emilia-Romagna Region and the Local Health Authorities in the identification of new organizational models, favoring proactive medicine, interacting with already existing models (Health Houses, eCare) and integrating specific telemedicine pathways; feasibility checks on a common functional model for the provision of services; the realization of a hub infrastructure playing a dispatching role within the messaging activity of electrometrical instruments, both implanted and not. Through Italian and International consortial projects, CUP 2000 participates to the main European funding programs for research and technological development in the field of e-Health and telemedicine services. Operating within innovation pathways, identified as most strategic by the Emilia-Romagna Region and its partners, and with a catchment area of reference of 4 million citizens, the company is constantly committed in piloting new modalities of public service provision, with particular attention to elderly and frail citizens, and to the collection, management and safeguard of health data. 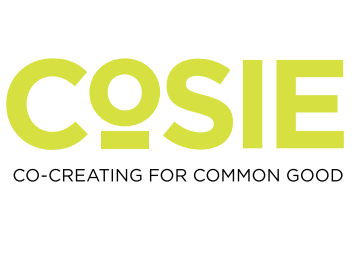 The CoSIE is focused on public sector innovations which can best be achieved by creating collaborative partnerships between service providers (i.e. public sector agencies, third sector organizations, private companies) and service beneficiaries. The project, co-funded under Horizon 2020 in the “Societal Challenge Europe in a changing world – Inclusive, innovative and reflective societes”, started on December 2017. CUP 2000, Local Health Authorithy of Reggio Emilia and University of Bologna, partners of the project realize one of the nine rela-life co-creation pilots. Specifically the italian pilot aims to prevent the child obesity and apply co-creation methods to involve stakeholders (familiy paediatricians, sport medicine, Hygiene, Food and Nutrition Service, schools, families) through the provision of a digital tool facilitating the relationship between parents, family paediatricians and healthcare services. ACTIVAGE aims to prolong and support the independent living of older adults in their living environments and responding to real needs of caregivers, service providers and public authorities, through the deployment of innovative and user-led large scale pilots across nine Deployment Sites in seven European countries based on the IoT technologies. This way, ACTIVAGE will build the first European interoperable and open IoT ecosystem, reusing and scaling up underlying open and proprietary IoT platforms, technologies and standards, that will enable the deployment and operation at large scale of Active & Healthy Ageing IoT based solutions and services. ACTIVAGE Large Scale IoT Pilot for Ageing Well has been conceived as a unique opportunity to scale up Use Cases (UCs) that the demand site of the representative sites consider strategic for the ageing well of the target populations. The aim of ACTIVAGE LSP is to align, set-up, deploy and measure a number use relevant Use Cases that provide a value for the assisted persons in 9 deployment sites across several European countries: Spain, France, Italy, Germany, Greece, Finland and United Kingdom. The Deployment Site in Emilia Romagna (DS RER) is located in the Province of Parma corresponding to the area where the Local Authority of Parma provides its healthcare services. The pilot technology targets a wide area of potential users, aiming at supporting independent life and ageing in place in a broad acceptation. The Deployment of Generic Cross Border eHealth Services in Italy Project (NCPeH) provides a quantifiable scenario of services usage to better allow the impact evaluation, namely by clearly identifying known or future population flows that may benefit from the provision of the proposed eHealth services. Within the Connecting European Facility (CEF) 2015 eHealth time frame, from 2017 to 2020, Italy is fully committed to deploy and make operational cross border eHealth services, in particular those linked to Patient Summary and ePrescription. Thanks to the active participation of the Italian Ministry of Health as official member of the eHealth Network, Italy is involved in the eHealth Network legal subgroup and the Joint Action eHealth Governance Initiative (eHGI) and Joint Action to support the eHealth (JAseHN) project. The Italian Project involves the Italian Ministry if Health, three Italian Regions (Regione Emilia-Romagna, Regione Lombardia and Regione Veneto) and Agenzia per l’Italia Digitale (AgID). The OPLON project proposes effective and evidence-based actions to prevent seniors’ frailty and functional decline and to promote their health, with the objective to develop a predictive tool allowing, at both physical and cognitive level, the planning of needed services to support independent living. The project encourages the utilization of innovative methods and approaches, the development of integrated care and assistance pathways and the creation of models for investment and growth. Indicators and indexes will be collected, managed and modelized towards their integration with socio-health IT systems, with the aim to implement the Electronic Health Record, already developed in some of the testing regions, allowing all the subjects involved in the take-in-charge of the patient to access their personal risk profiles, and promoting experimentation and confrontation between different service models in different regional contexts. The objective of the MOTION project is the development of a new service for the physical training of citizens over 65, remotely at the domicile, through a videoconferencing system allowing the online interaction of a specialized coach and four senior users, following a low-impact gym course for seven months. The MOTION service, lowering the costs for personalized gym and fostering psycho-physical prevention also in conditions of limited mobility, intends to contribute improving the expectancy and quality of life and the independence of seniors. The FI-STAR project has developed several innovative experimentations in the field of healthcare, utilizing the “Future Internet” platform, with the aim to manage effectively and efficiently a series of health processes, in compliance with privacy and confidentiality constraints, by returning the software apps to their base of origin and promoting a sustainable value chain, allowing to maintain the FI-STAR network even after the project end. The project has implemented seven experimentations in Europe, involving several hundreds of citizens. The Italian trial, planned and managed by CUP 2000 and realized in collaboration with the Local Health Authority of Ferrara, was especially focused on the provision of services for the management and monitoring of patients suffering from respiratory diseases. The objective of the SPES project was to transfer the approach and the results reached in the implementation of the project OLDES to four new geographical areas (Ferrara Vienna, Brno e Kosice); it has addressed patients at risk of social exclusion and suffering from respiratory diseases, dementia or physical impairments. The objective of the pilot, conducted in Ferrara, was to allow specialist doctors and other healthcare professionals to monitor remotely their patients’ health statuses, having provided them with an oximeter and other non-invasive medical devices at home. Patients and doctors in Ferrara tested an easy-to-use telemedicine solution which can allow savings both in transports expenses and in time dedicated to health visits, thus improving altogether the quality of the provided services and the quality of patients’ lives. The HOPES® project has developed a new portal providing services for the socialization of elderly persons. Based on such platform, HOPES® created the first European network entirely dedicated to the social interaction of seniors, and populated by seniors themselves, through the creation of ratable contents, automatically translated into the different languages of the participating countries, sided by socio-health advices and suggestions (“best practices”) proposed by the administrators. This way it was possible, on the one hand, to increase the level of socialization, the quality of life and the autonomy of seniors, thus preventing isolation and solitude; on the other, to generate positive and active experiences and behaviors in their psycho-social and socio-health conditions. The CONFIDENCE project has realized a technological instrument, suitable for domiciliary and residential contexts, for the prevention and monitoring of seniors’ falls, based on a system of domotic sensors enabled to survey anomalies in the user’s pattern of movements. In parallel, the project has promoted the creation of a techno-social support network, fostering the physical and psychological autonomy of the senior user at risk of falls and fractures. The OLDES project has developed an innovative, low-cost technological solution based on the utilization of the television set as a means of communication and monitoring of healthcare data, and for the creation of a socio-welfaristic and relational network addressing frail seniors, through entertaining and tele-company services. The clinical experimentation involved 10 users selected from the Cardiology department of the Bellaria Hospital, whom were provided with the OLDES system, comprehensive of 4 medical devices (scale, sphygmomanometer, oximeter and one-lead electrocardiogram) with which to monitor the vital parameters opportunely identified by the cardiologist. CUP 2000 is a point of reference for the implementation of integrated solutions at the regional level. CUP 2000 provides a consumption survey service for the Territorial Pharmaceutical Assistance, with a working cycle including scanning and control, production of accounting technical reports and preparation of institutional fluxes. Furthermore, the structures of the CUP 2000 quarters in Minerbio are equipped to perform storage management activities, in particular: delivery and collection of the whole documentation to and from Health Authorities; search for specific documents; delivery of urgent documents on paper; periodical collection of material to be stored; transmission and reception of material to/from third providers; verification and preparation of disposable material. CUP 2000 performs PM activities in the predisposition of a joint regional system for the computerized management of human resources. The system is based on a joint coding level and guarantees the integrations existing with each company’s systems. The Regional Registry of Assisted Users is a joint, regional IT system which will allow the centralized management of the ID data archive for the permanent and temporary residents on the territory of the Emilia-Romagna Region; their fee exonerations, when present, and the user’s relationship (choice/change) with general practitioners and pediatricians. The infrastructure is integrated with all the regional systems (such as joint management of payslips; the ID registry of prescribing doctors; the unified medical record for general practitioners; the electronic health record), and it constitutes the users’ registry of reference. The project, realized by CUP 2000, will allow the timely transmission of information to the Healthcare Card national system, and will represent the point of reference for the regional healthcare data warehouse, managed by the service “Information system for healthcare and social politics”. Foreign users stipulating a private coverage with the National Health Service; users under the responsibility of foreign institutions; users with residency permits provided for humanitarian reasons. CUP 2000 provides its partners with management and maintenance services on infrastructures and systems. The work is especially focused on high-technology and highly specialized activities, on Open Source systems and on the Oracle database, with frequent experimentations which guarantee innovation and the adoption of avant-garde technologies. The CUP 2000 working group guarantees a 24/7 assistance, 365 days a year. Within the field of project management, realization of products and provision of services, CUP 2000 also acts as general contractor toward third-party providers, starting from the definition of specifications, the collection of requisites and the editing of the contract terms, continuing with the management of the tender and the contract execution, and concluding with the testing, training and implementation phase.